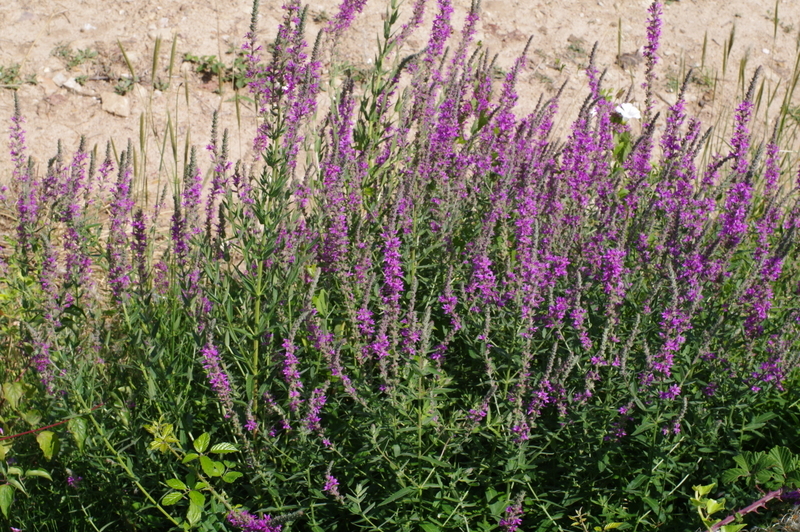 If I go out looking for plants in flower now, purple loosestrife (Lythrum salicaria) seems hard to avoid. Since it’s a water-loving plant, and this is the middle of August and la grande chaleur, that seems surprising. 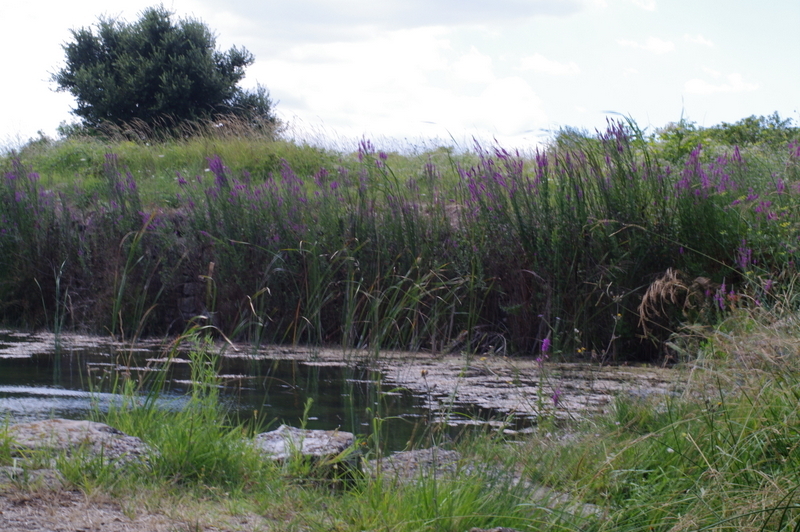 But there are streams, deep ditches that collect moisture seeping from the fields, and springs, and reservoirs like this one in my village. I feel I’m always going on about plants adapted to dry conditions here, but the truth is that each plant has its niche, and niches by definition are not characteristic of the whole. As someone who will go to any lengths to avoid an argument, this appeals to me. However, I have yet to test it with friends, neighbours or indeed oxen. I think a good way to avoid strife is to remember that like plants, humans have their preferences and their niches and their own way of seeing things. I don’t take this too far – like the great Nye Bevan I believe that voting Tory is just wrong.